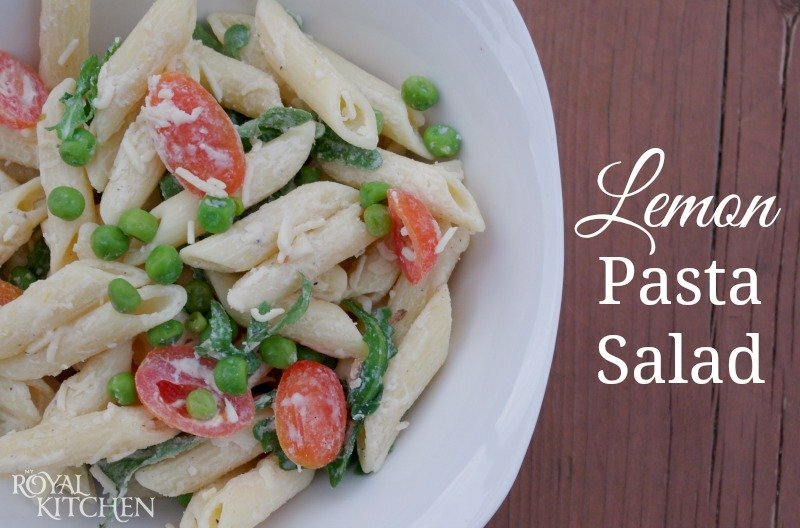 This cool and creamy Lemon Pasta Salad is so easy to make and is great for parties! This past weekend we celebrated our oldest turning 8. We decided to keep the party small and just have family over for a BBQ, S’mores and of course, birthday cake. 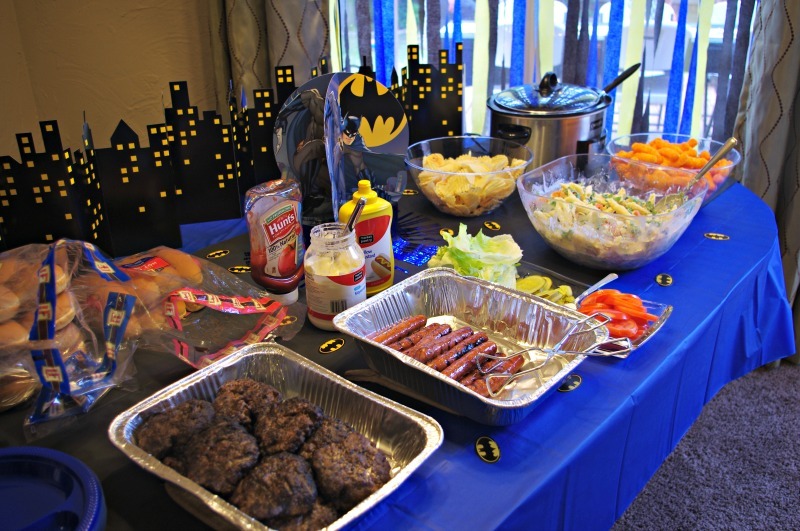 While planning the menu for the party I knew I wanted hubby to grill burgers and sausages (less work for me!) and I would come up with all of the side dishes. We had the traditional things like chips and crock pot baked beans (SO good!) but I wanted something light and refreshing as well so I decided to make this yummy Lemon Pasta Salad. I like the fact that it is to be made ahead of time so I had one less thing to worry about on the day of the party. This recipe can be made as lemon-y as you’d like. I used one lemon when I made it so there was only a hint of lemon but if you like a stronger lemon flavor then I’d recommend using two. We had some left over (yay!) and I discovered that it’s just as good, if not better, the second day. We are entering BBQ season so when you’re planning a menu make sure you give this Lemon Pasta Salad a try! You should also try our Bulgur Wheat Salad! While the pasta is cooking heat a medium sauce pan on medium-high heat and add the heavy cream, lemon juice and zest, chicken broth, garlic powder and salt and pepper. Bring to a boil then simmer sauce until reduced and thickened, about 15 minutes. Toss the sauce and cooked pasta together then add the arugula, tomatoes and peas. Sprinkle in the cheese at the end. Refrigerate overnight or for 8 hours. Toss before serving.